Do You Know the Signs and Symptoms of Caregiver Burnout? Being a caregiver is a very important job that requires a lot of skill, effort, and time. Sometimes, spending that much energy on someone else’s needs can cause you to neglect your own needs, both emotional and physical. Caregiver burnout is real – and common – and it is dangerous to ignore the symptoms. Symptoms of caregiver burnout vary and are very similar to symptoms of depression, including feelings of stress, sadness, and guilt. If ignored, caregiver burnout can become clinical anxiety or depression. You should always seek help from a medical professional if you have reached a point where you feel unable to cope with your symptoms. When caring for a loved one, sometimes it is hard for the caregiver to distinguish their role as caregiver from the original role that they played with the person for whom they are caring. If the caregiver started out as a spouse, a child, a close friend, or other intimate relationship, it can be very difficult to rework the patterns of their relationship with their loved one. As caregiver, they have to respond differently than they used to, and sometimes this is overwhelming and hard to understand. Often times, caregivers jump into the responsibility of looking after someone else with unrealistic expectations. In the beginning, the caregiver may not fully understand how difficult the job is. Being a caregiver can be emotionally and physically draining. Though it is a rewarding and worthwhile job overall, it can sometimes feel like a thankless job. The caregiver gives a lot of him or herself–time, skills, emotional support–and they do not always see the return. Some beginning caregivers quickly become overwhelmed and feel like they have bitten off more than they can chew. Take some time for yourself every day. Set aside just a few minutes for you and only you, perhaps in the morning before work or in the evening before you go to bed. Listen to music, read a book, meditate. Do whatever you need to do in order to soothe your soul and feel present. You cannot take care of others unless you are healthy yourself. Eat a healthy, well-balanced diet, exercise, and get enough sleep. Your body is your tool, and you need to keep it in working order. If you are feeling stressed or overwhelmed, find someone to talk to. Open up to a friend, a family member, or find someone in an online support group. Seek out professionals such as a therapist, a social worker, or a clergy member. Never be afraid to ask for help when you need it. There are plenty of other people who care about you. These people are ready and willing to help you take care of yourself while you are busy taking care of someone else. Caregivers need caregivers, too. 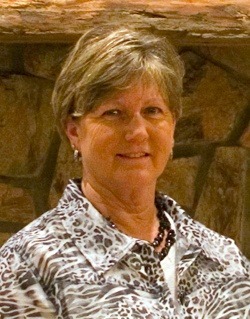 Glenda, a Russellville, Alabama native, moved to Tuscumbia as a teenager, where she still resides. She has worked in a pharmacy, hospital and has years of experience privately sitting for seniors. "Seniors are such precious people to me, and I love being able to be a part of their life on a day to day basis at the Cottage," she says.